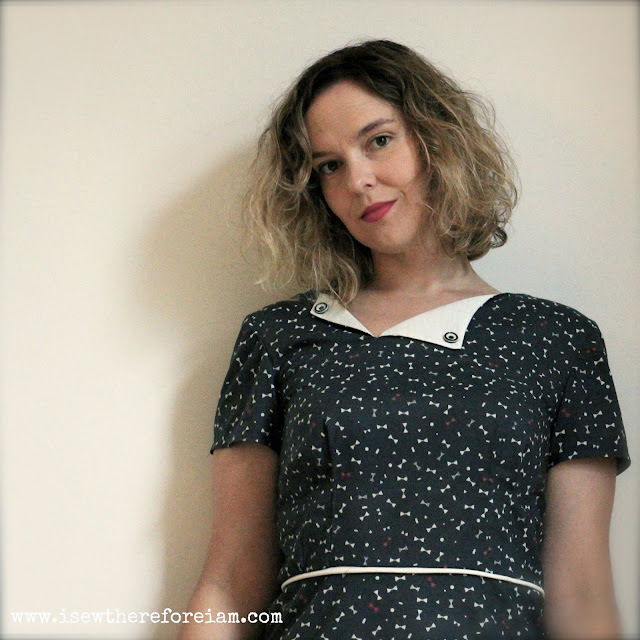 The Pattern of the Month - The Laneway Dress, Part 1. 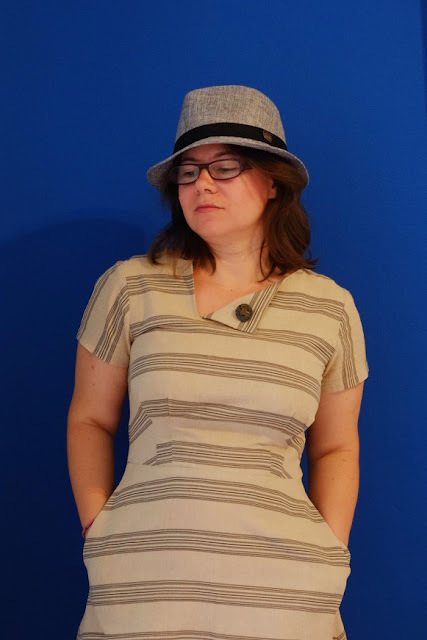 It's time for the first Pattern of the Month Reviewer Round Up! 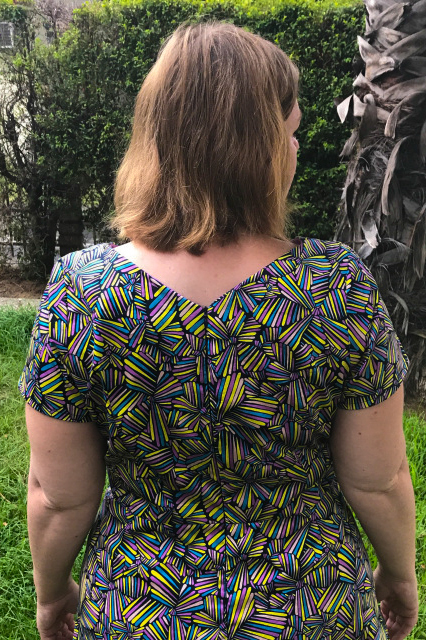 I decided to choose The Laneway Dress as the first pattern for a few reasons - it was my newest pattern at the time, it was built around my newly updated block AND it was the first pattern I've released to include multiple bust cup sizes (B, C & D cups). So, it just made sense. 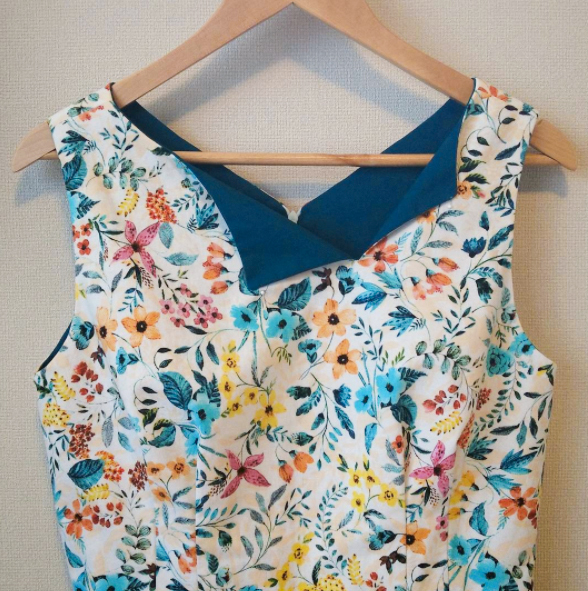 There have been so many beautiful Laneway Dresses pop up though that I've decided to break this into two parts because I don't want this to be overwhelming. I've added in a few extra reviews from testers as well as reviews that have popped up around the web. 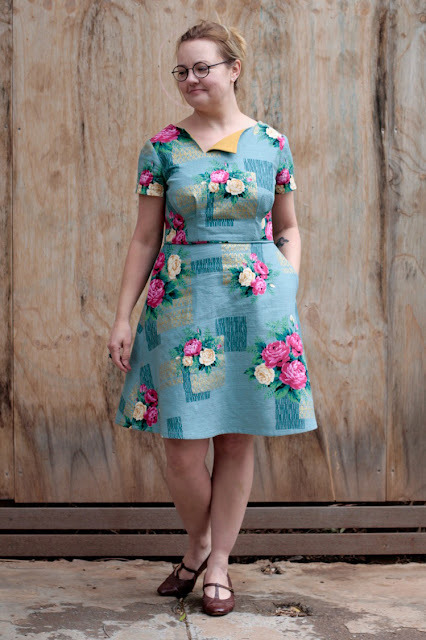 So, let's have a look at some lovely Laneway Dresses shall we? 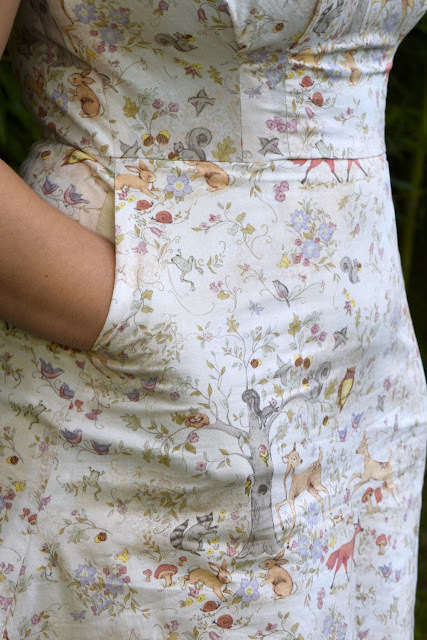 When I first saw a picture of Jane's half completed Laneway bodice in this gorgeous fabric, it was love at first sight. 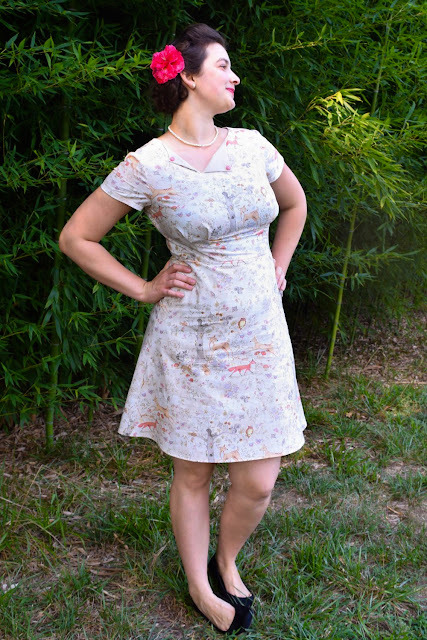 It's designed by an Australian (Gertrude Made) and aptly called 'Outback Wife' and is the most delicious barkcloth. And of course, it's sold out... I am on the hunt though, where there's a will, there's a way. 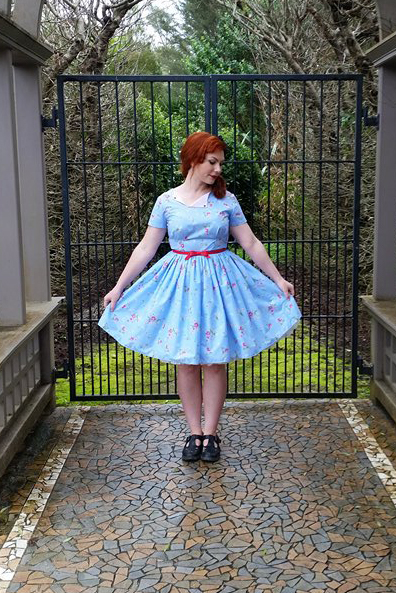 What could be more perfect than a wander through the woods in your very own Woodland Laneway Dress? 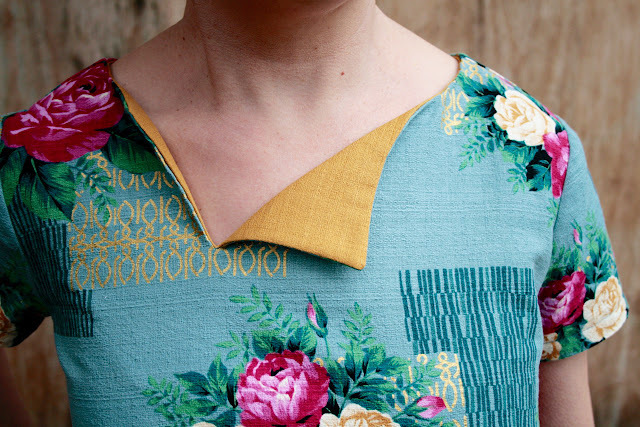 Emily also took some gorgeous shots of some of the Laneway Dress details - open ended darts, inset pockets and that fabric... Love. 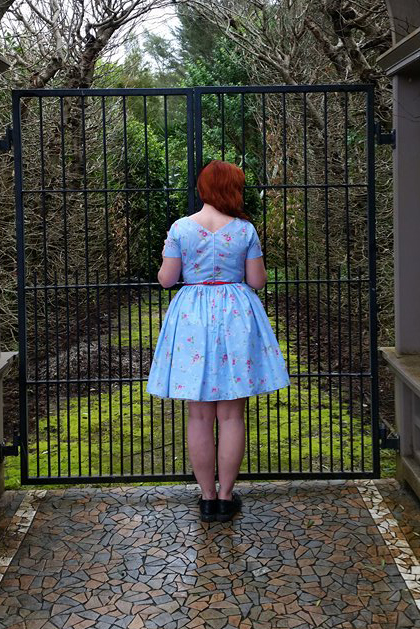 I can't believe I've never thought to add a gathered skirt onto Laneway before. 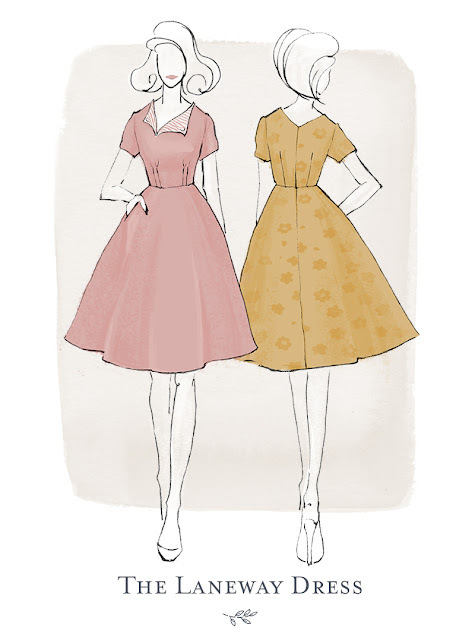 It definitely gives the silhouette more of a 50s vibe, so, if that's more your style, it's a super easy adjustment to make! 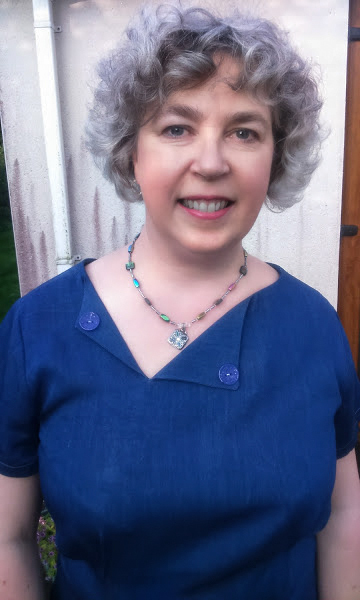 Check out Ginger's review for more details. 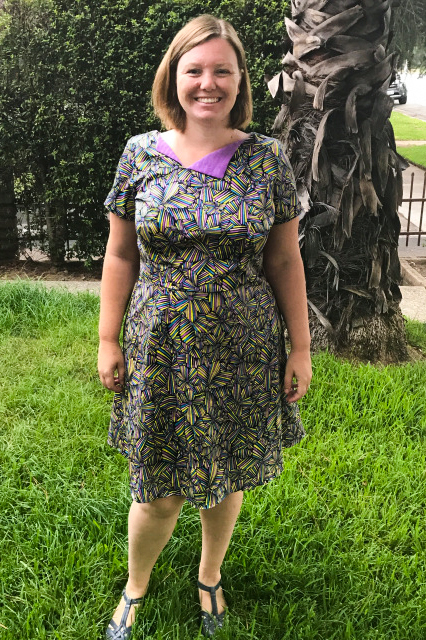 Don't you love it when a pattern and some fabric you've had stashed away for the longest time just scream out to each other? 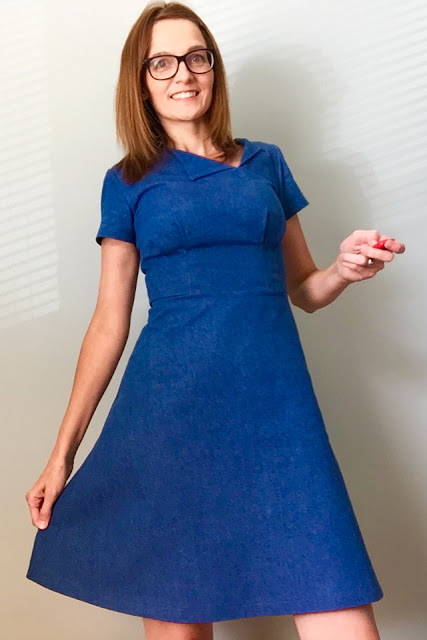 Aida had this French chambray in her stash for the longest time, and now it's sitting pretty in the form of a Laneway Dress. 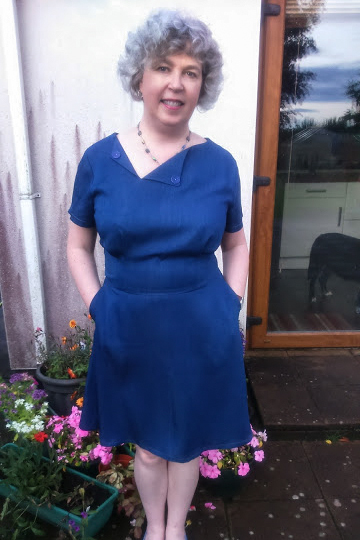 Amanda proves that Laneway works in both denim & corduroy - perfect for those if you heading into winter! 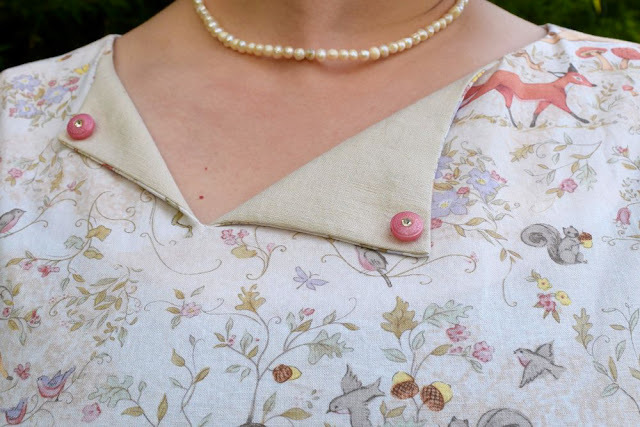 Check out her video review (embedded below as well as at the link above) to not only hear her thoughts on the pattern and see her dress in action, but also to see some cute little cameo guests in the background. Love it. 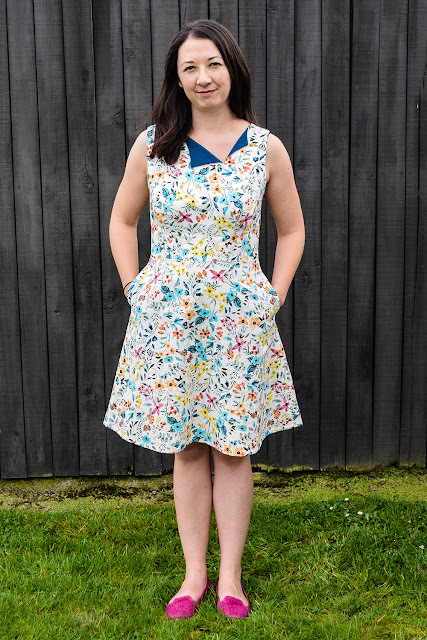 It's nearly Spring here in NZ and a sleeveless spring Laneway is just what the Dr ordered. 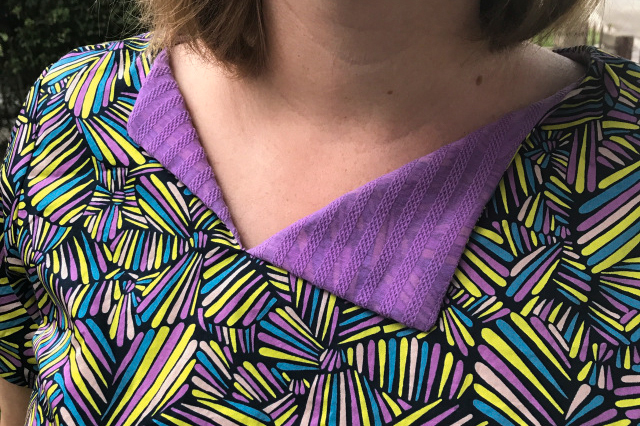 Ana goes into more detail about how she turned the Laneway Dress into a sleeveless dress, so if that's something you're wanting to do, head on over and have a read. It's perfect for a hot sunny day eating ice cream... now if we could only get a few warm days over here already. Anna was actually one of my testers for Laneway and one of the first reviews that I saw pop up. 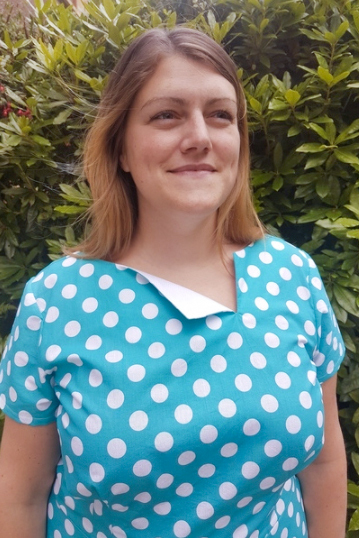 She recorded the most lovely and thoughtful video review - I'm always so in awe of my testers, giving up their time to test a pattern for me, and I was so honoured to have her do this for me as well. Oh, and these stunning photos... wishing I was there dipping my toes into a cool river on a hot day. 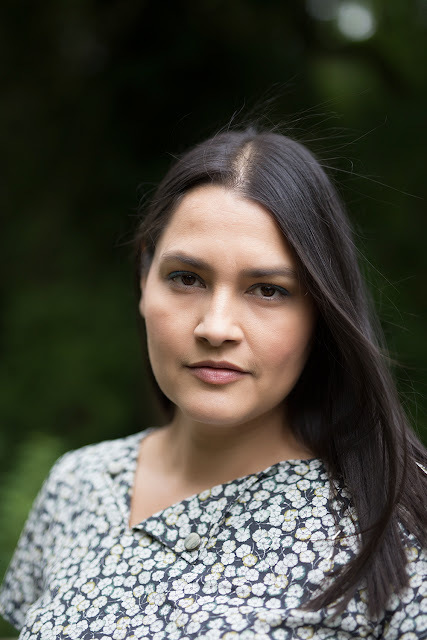 Beck has written the most thoughtful and thorough review of Laneway over on her blog. 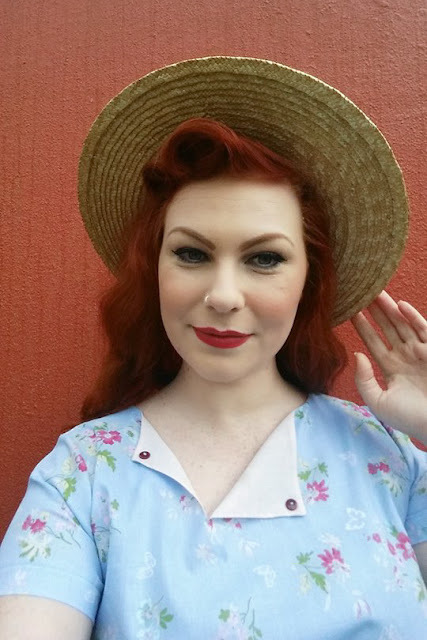 If you want to get into the nitty gritty of every last detail, go read her review! Also, death to the SBA? Yes please! 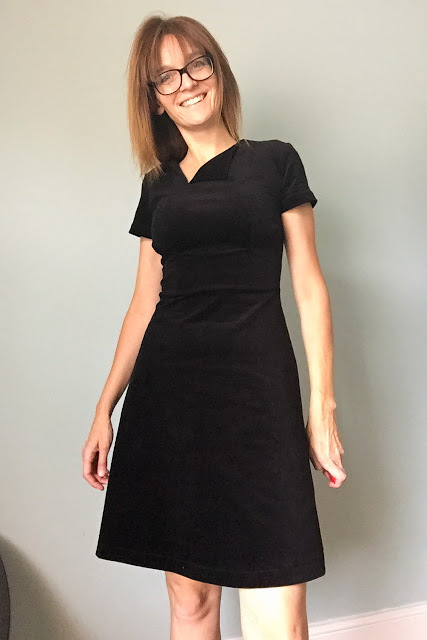 Well, when your sister-in-law asks if the dress was designed specifically to fit her, because she finds it so comfortable and flattering, you can't really go wrong huh? 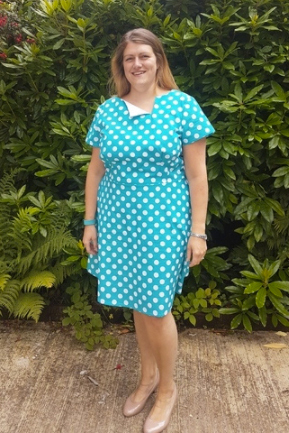 Catherine's beautiful Laneway in gorgeous teal spots is the perfect summer dress (if I do say so myself...). One of the great things about approaching review's from this new perspective is that you give people the chance to try out something that they may have never considered before. 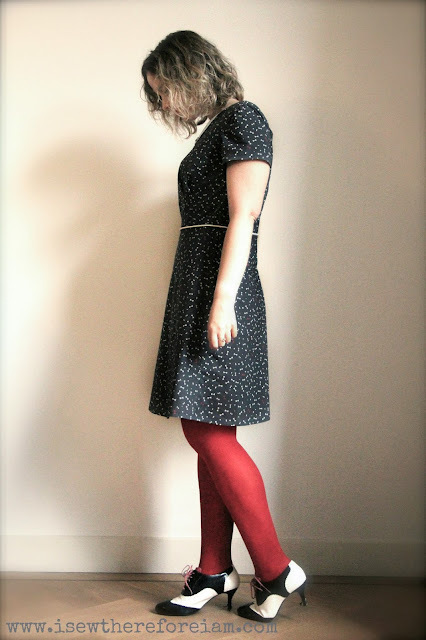 Jen mentioned that Laneway was not her usual silhouette, but was so pleased with how it turned out and how comfortable it was. 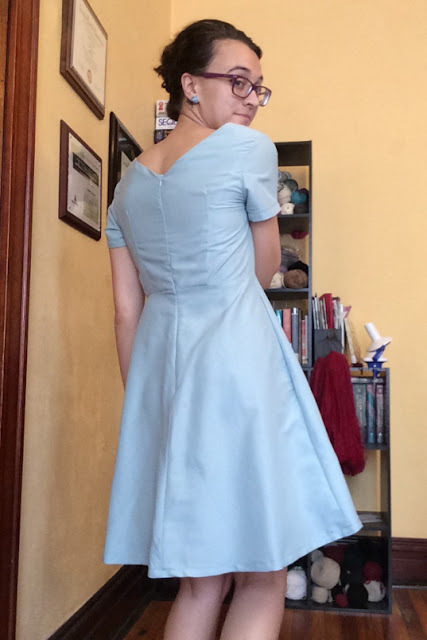 I think she looks amazing, and hope that her experience with Laneway has whet her appetite for more of this type of silhouette. It definitely suits her! Jessica was at the airport, about to board a plane, when I sent out the Reviewer Call for Laneway. She answered back as quickly as she could to express her interested and I'm so pleased she did. 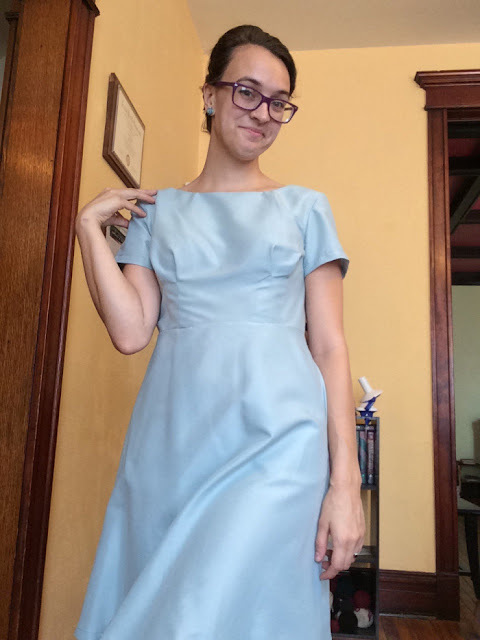 Laneway looks amazing on her, and I was so happy to hear how much she loved her final dress. 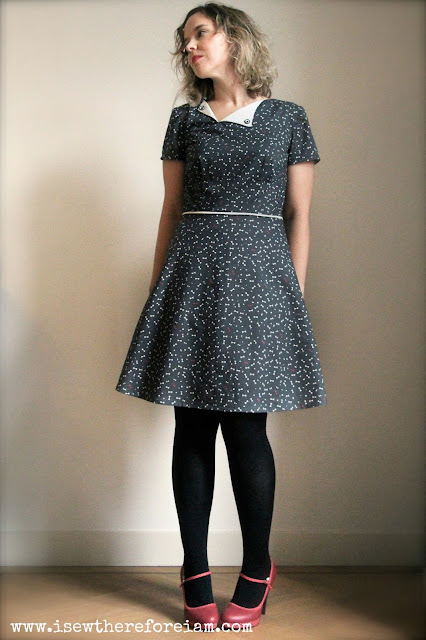 Plus, the sprinkles fabric and her contrasting collar? Beautiful. 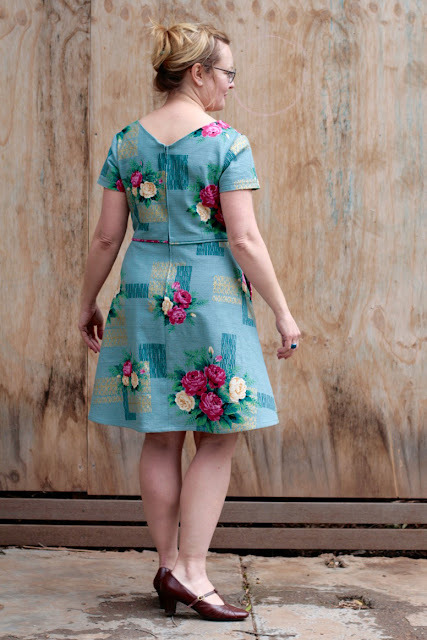 What a gorgeous bunch of Laneway Dresses! 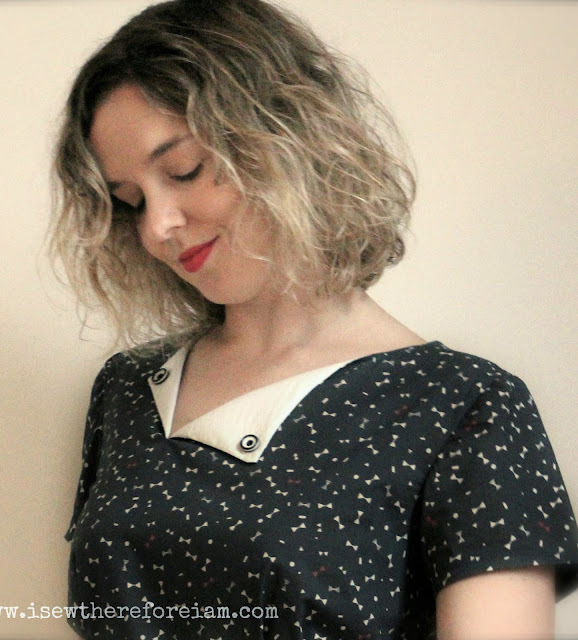 Make sure you check out their reviews, as there is a lot of extra information in there that could help you get the best Laneway Dress if you're thinking about making one. See you on Friday for Part 2.